When I explain to people how I spend weeks in foreign cities, living like a local in a nice house or apartment without spending a dime for accommodation, most want to know more. 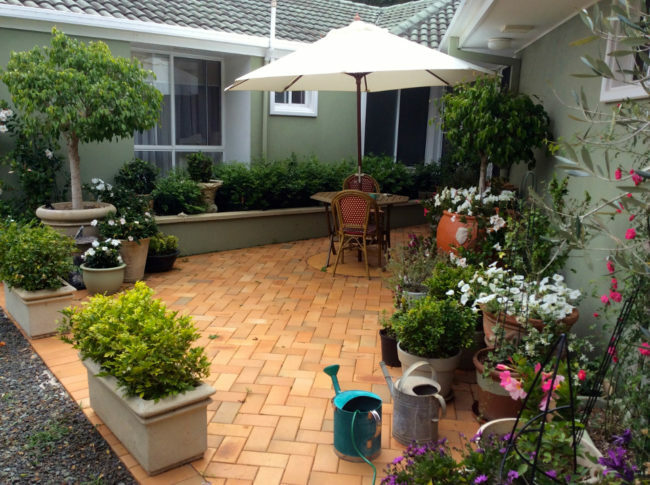 It’s actually pretty easy to become a house-sitter using house-sitting websites, but you need to expand a bit of effort (and a little bit of money) at the onset. If you like pets, are responsible, and enjoy travelling, then you owe it to yourself to investigate house-sitting. The site I have been using for three years is called Trusted Housesitters. It’s based in the UK and is the largest of its kind. Over the last three years, I’ve spent 19 weeks house-sitting around the world, which has saved me at least $6650 in accommodation costs (based on $50/night, which is my typical accommodation budget in AirBnB rooms). If you normally spend $200/night on hotels, then multiply those savings by four! 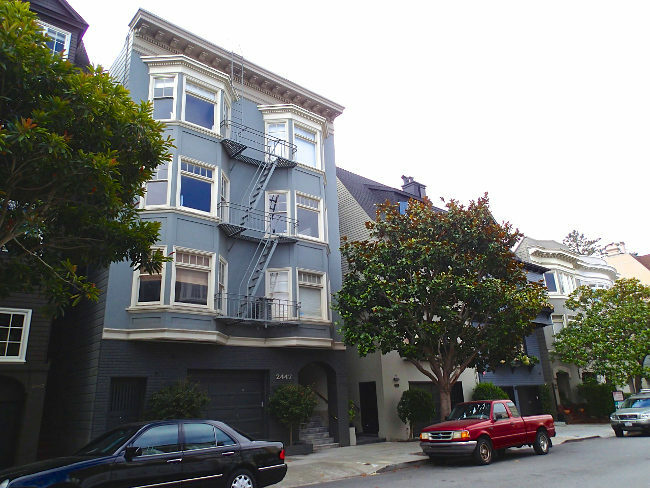 How about a 2-bedroom apartment in an upscale neighbourhood of San Francisco for 3 weeks? I have to warn you that this post is a very long one. In fact, it’s the longest I’ve ever written! However, if you seriously want to give this method of finding free accommodation a try, the information in here should get you up and running within a few days, and possibly securing a house-sitting gig within a few weeks. In the first part of this article I’ll talk about how the service works, and what you can expect. Next I’ll go into details about how to build the best possible profile to make it easier to score assignments. 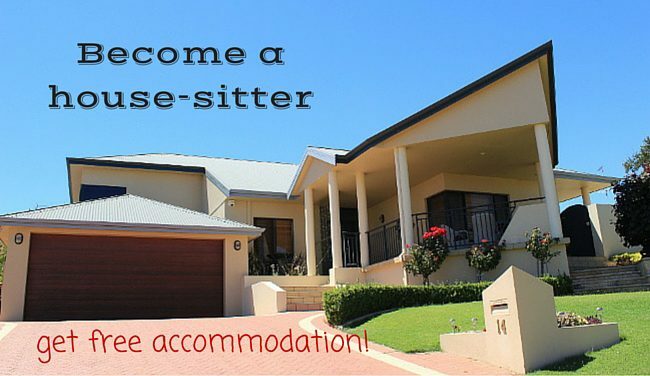 Finally, I’ll discuss how to land your ideal house-sitting gig on Trusted Housesitters (THS). The basic idea behind all house-sitting websites is to put home and pet owners who are going away in contact with travellers (or even locals) willing to take care of their home and pets in exchange for free accommodation. It’s a win-win situation. The homeowners can leave their pets at home where they will be happier, and have someone to keep the place “lived-in”, water the plants, pick up the mail, mow the grass, and so on, all for free. The house-sitters get to discover a new area where they can settle down in their own free digs and cook their own meals, allowing them to cut their travel expenses drastically and live like locals. 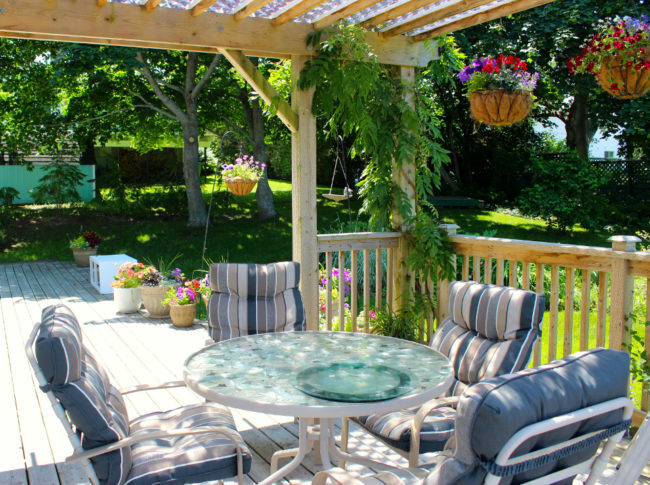 The TrustedHouseSitters web site is very well laid out and easy to use. Before you decide to register, you can peruse the listings for free under the “Find a Sitter” or “Find a House Sit” sections. How much does registering cost? Click the “Join Now” button to see the plans. The annual membership is CA$130/US$119/£89 but if you use my code (RAF512) at checkout you get 20% off! Basically, your membership pays for itself after your first night of house-sitting (considering the price of most hotels in developed countries). Since TrustedHousesitters is based in the UK, about 50% of the assignments are found there. So if you’ve had England, Wales, Scotland, or Ireland on your radar, finding an assignment should be a breeze. Many assignments are also offered in Europe, North America, Australia, and New Zealand. As it so happens, these are also countries where hotels are very expensive. The reason? House-sitting is still very much a “first world” concept. More exotic countries occasionally pop up though, mostly due to expats living in places like Turkey, Costa Rica, or Dubai. Just now I saw an assignment for 10 days in Colombo (Sri Lanka), another one for two weeks in Chapala (Mexico), one for a month in Shanghai (China), one for five weeks in Bangkok (Thailand) and one for two months in Costa Rica. What are the pets and houses like? Once you’re registered, you specify in which countries you want to house-sit, and every day you receive two emails (12 hours apart) with the most recent offers. I decided not to restrict myself, so I see the whole list, and most days have over fifty new ads. Most of the demand is for cat and dog sitters. Some households have both, and some have more exotic pets like birds, rabbits, and iguanas. Some are hobby farms and include horses, chickens, even pigs! 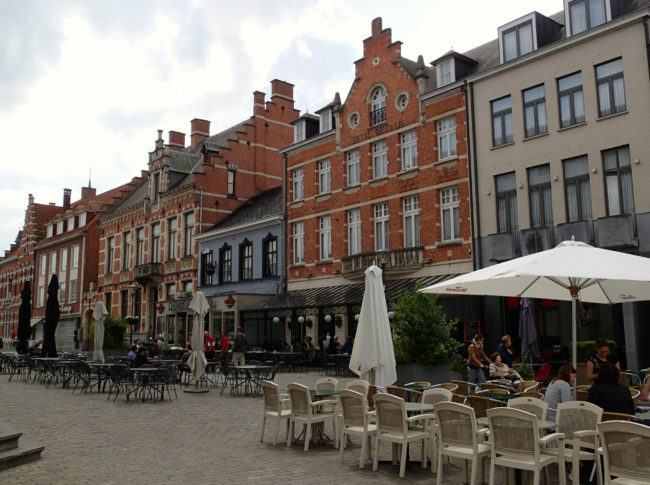 As for the properties, they run the gamut from studio apartments in big cities, to large houses in the countryside, even sometimes small guesthouses, inns, or even castles! Everybody can find something to their taste. For example, the picture at the top of this post shows the beautiful house where I stayed for three weeks, 300 metres from the Indian Ocean in Bunbury, Australia. This was only my second housesit. Lengths of assignments vary from a week-end to a year or more, but most are between one and four weeks. Would you take care of him? 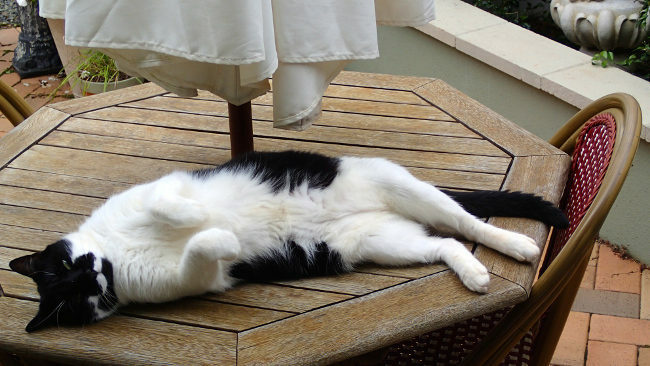 He’s very laid back! Go take a look at what’s available right now! What kind of people house-sit (who is my competition)? 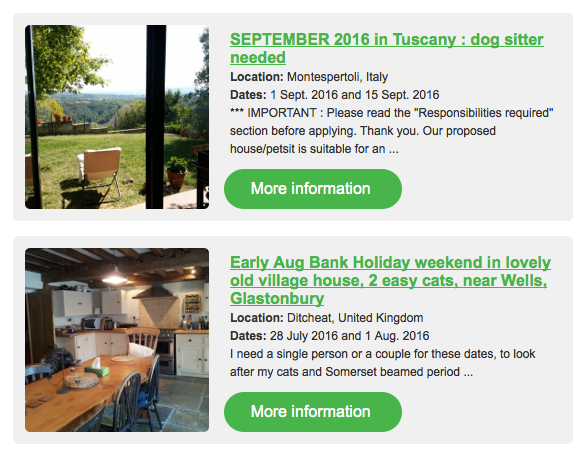 Someone may choose to become a house-sitter to save money on their holidays. Some people also have someone house-sit for them while they house-sit somewhere else. Others are permanent nomads who travel the world non-stop and spend most of the year house-sitting so they can maintain that lifestyle. They are often the most experienced ones. There are also retirees with more time than money who want to travel slowly and stay in one place for a while. Next, we’ll look at how to build a winning profile that will help you secure your dream house-sit. I found my first assignment as a house-sitter only nine days after putting my profile online! After you’ve registered on Trusted Housesitters, the next step is to build your profile. 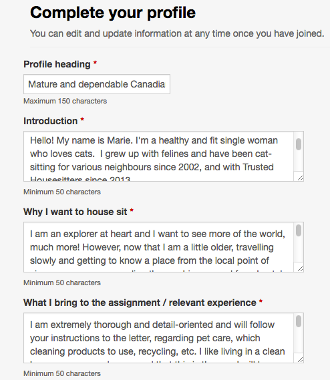 Looking for a house-sitting gig is similar to looking for a job, except easier and more fun! If we continue with this analogy, your profile is like your resume. It’s what convinces homeowners that you have what it takes to take care of their home and pets, make them short-list you and want to talk to you. People get hired in a job for two reasons: they have the right qualifications, and the employer likes them. That’s right. People hire people they like, and it’s the same with house-sitting. You must show that you’re capable, inspire trust, and be likeable. A tall order? Actually it’s not that bad. But one thing at a time. Let’s start by building a winner profile that demonstrates your abilities, reliability, and experience, just like a resume does. The more complete your profile is, the higher you will come up in the search results, so provide as much of the following information as possible. Several sections contain information that homeowners can search on to narrow down their choices, such as your gender, age, when and where you are available to house-sit, whether you charge a fee (most people don’t), your location, and what animals you have experience with. 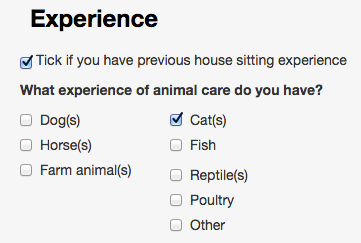 Ideally, you also want to be able to check the box that says “Tick if you have previous house-sitting experience” since this is also a search criteria. If you’ve never cared for someone’s home while they were away before, ask to do it for a friend or relative as practice (even better if he/she has pets), then ask them for a reference (see below). Hopefully you like writing. If not, then you may want to get a friend’s help to fill out the three sections that form the bulk of your profile: your introduction, why you want to house-sit, and what you bring to the assignment (relevant experience). You can take a look at my own profile as an example. Also take some time to think of a good “Profile Heading”, since this is what homeowners will see first, in addition to your photo. The name of the game here is to come across as enthusiastic, trustworthy, as experienced as possible, and of course likeable. People reading your profile are considering giving you the key to their house and leaving you to care for their beloved pets. How do you show them that they have nothing to worry about if they pick you? Scroll all the way down the profile form and don’t forget to click on “Edit additional profile details”. This section lets you add a video to your profile and specify if you got a Police Check. These two things are ignored by many sitters, so they will give you a big advantage over the masses. The police check is a formality that reassures homeowners that you are not, well, a criminal! I paid about $20 here in Toronto to get it done. It required filling out an online form, and then showing up in person at a Police Station to collect an official letter that certified that a search of the National Criminal Records repository maintained by the RCMP did not identify any records that matched my name and date of birth. Procedures will vary with your city and country. Get a friend or a tripod to hold the camera. Plan what you’re going to say and rehearse until it sounds clear but natural. Try not to twitch or look nervous. Watch yourself (I know it’s hard). Would you trust this person? I divided my video into three parts: me talking on camera, a walk-through my apartment (showing how well I take care of it), and a cat playing around (which I had been sitting for a neighbour). I edited the three pieces together with iMovie on my Mac and added commentary to the last two parts. Yes, it did take me most of an afternoon, but it was worth it. Here’s my video if you’re curious. All the nice things you say about yourself are important, but nothing can beat a reference by a third party. TrustedHousesitters lets you send referral invitations to anyone you want, and provides them with a link they can use to leave you a review that automatically appears on your profile. Obviously, you cannot edit those. 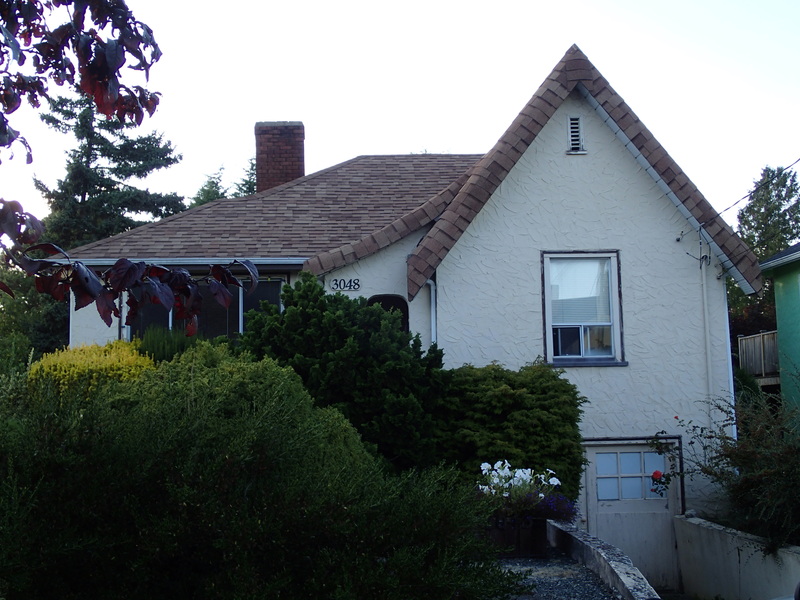 Until you start getting assignments and referrals from THS homeowners, all your references will be “external”. These can be from previous employers, friends who have known you a long time and can attest to your “character” (character reference), people for whom you house or pet-sat in the past, and landlords. The more references you get, the higher you appear in the search results. After you’ve built your profile on Trusted Housesitters, the fun part begins. Each day you’ll receive two email alerts (12 hours apart) listing all the new ads that have appeared on the site within the last 24 hours. Under your account settings, you can choose to receive alerts only for your chosen countries. You can also turn off the alerts completely. If an ad summary looks interesting, click on “More information” to go to the website and read the whole description. Check the dates, the kind of pets, the location, criteria for the sitter (non-smoker, couple, single woman, etc.) and what is expected of the sitter. If after reading all the details you think this is an assignment you would like, and which is within your abilities, then click “Apply now” to send a message to the homeowner as soon as you can. Some ads get so many responses that the homeowner may stop considering new ones after a short while. When you contact a homeowner through the system, your profile is automatically linked so you don’t need to repeat everything. Just introduce yourself briefly, and tell the person why you think you would be perfect for the assignment. Personalize this letter like you would a cover letter, addressing all the points and concerns that were expressed in the ad. 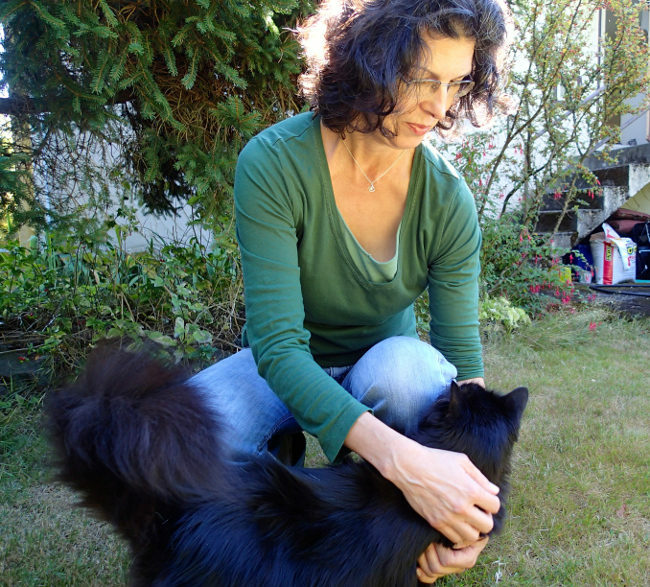 For example, if someone mentions that their cat is shy, I make sure to tell them that I am a quiet and gentle person who will let the cat get used to me slowly. Mention the pets by name if possible. If this information is not included, show interest by asking the pets’ names, their age, gender, etc. Look for affinities you may have with the pet/home owners, and mention those. It’s surprising how little things can make a difference. One person said that she got interested in me because my profile said that I spoke French (she was going to Paris to improve her French) and my video mentioned that my friends thought I was a “neat freak” (which is the same thing her friends say about her). Your goal at this point is to be short-listed. 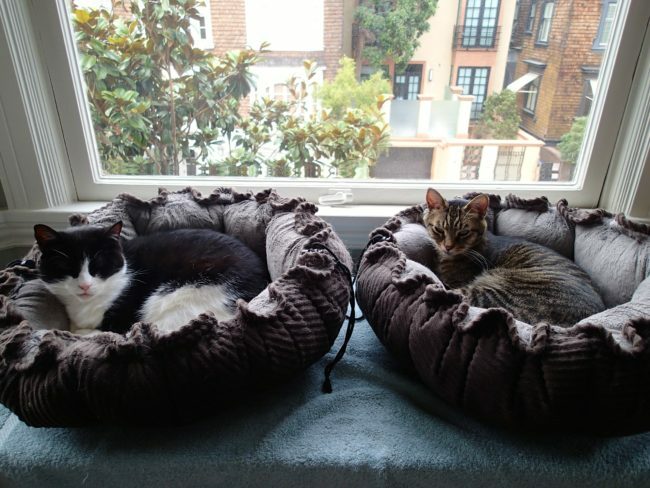 I was asked to speak French to these two kitties during my house-sit in San Francisco! You’ve made the short list! Unlike a regular job, you’ll hear very quickly if you’ve made the short list, usually within a couple of days. Some homeowners write a thank you message to everybody else who didn’t make the list, but many don’t bother. Usually the homeowners select two or three people out of the bunch and then try to arrange a phone call or Skype chat before finalizing their choice. Make yourself available, be accommodating, and call when you said you would (or be available when they call you). You wan’t to show that you’re reliable and easy to communicate with right off the bat. Prepare whatever questions you want to ask beforehand. When you finally talk to them, be friendly and enthusiastic. Answer their questions truthfully. Ask you own questions. If you’re on Skype, make sure you’re presentable (just like if you were in a live meeting). They want you to enjoy the housesit as much as you do, so make sure that you’re comfortable with any new points that come up. I was once in the middle of a phone call with a homeowner in Costa Rica, asking for details about her location, when I discovered that a car was needed to reach her place (this wasn’t mentioned in the ad) and she discovered that I didn’t drive (which isn’t in my profile). We immediately thanked each other for our time and moved on. At the end of the conversation, you will probably be asked if you’re still interested, and then told when the homeowners expect to make their decision. Sometimes they may just “hire” you on the spot! You get some, you lose some. They may also ask you if you’re OK with signing a “contract”. Not everybody does this, but TrustedHousesitters recommends it and provides a template that the owners can modify to suit their needs. It basically states who the two parties are, the location, the pet(s) involved, and the responsibilities of each party. It’s all common sense really. One clause, for example, may state that the sitter is not “leasing” the premises and must leave on a certain date. Once you get selected, it’s a good idea to book your air ticket (or other transportation) as soon as possible and send the homeowners the itinerary. This shows them that you are serious and reliable, and less likely to change your mind at the last minute (which of course you shouldn’t do unless you have a very good reason). By this point, many people start emailing each other directly to keep in touch and learn more about each other while waiting for the house-sit. Once you’ve secured an assignment, all you have left to do is enjoy your new home! Homeowners can also find possible sitters by searching through the system and contacting them directly. In this case, you will receive an email linking to their message on the TrustedHousesitters site. You should be polite and write a short reply even if you can’t or are not interested in the assignment. If you are interested, then just follow the steps above. You have a lot less convincing to do since they’ve already picked you, but don’t be complacent either, as they may have pre-selected several people. In this case, the first one to respond will have the advantage. One current quirk of the system is that it forces homeowners to enter their location before they can specify any other search filters. The search algorithm then return only profiles of people in that location! I’ve written to THS before with this complaint (and even suggested a solution) so we’ll see if anything changes. In the meantime, a work around is to set “Your Location” in your profile to the place where you want to house-sit, not the place where you live! After you’ve completed the assignment, don’t forget to send the homeowners a reference request through the system. This helps you build more great references and makes it easier to find your next assignments. To see what these house-sitting assignments look like in practice, see also House-sitting: 5 assignments on 3 continents where I give an overview of my first two years of house-sitting, with the best and worst about each assignment. These in turn link to more detailed stories. Well, that’s it for now. I hope these tips have been useful. If you’re considering signing up with Trusted Housesitters, I would really appreciate it if you could do so through one of the links in this post. These are affiliate links, and THS pays me a small commission for referring people. The cost to you will be exactly the same. Or you can use this referral link to get 20% off your annual membership. Note: There are of course other house-sitting websites if you want to compare, but Trusted Housesitters is the only one I’ve used so far. This is a great post! I found out some very useful things which will help me for my budget travels! Great! Happy to help Agness. 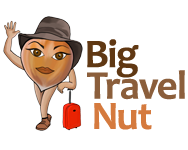 Big Travel Nut recently posted…Over 40 and planning a first solo trip? Hi Ingrid. Yes, most house-sitting assignments involve pets. The ones that don’t are often for large properties that need a fair amount of maintenance: mowing grass, watering/trimming plants, pool maintenance, etc. 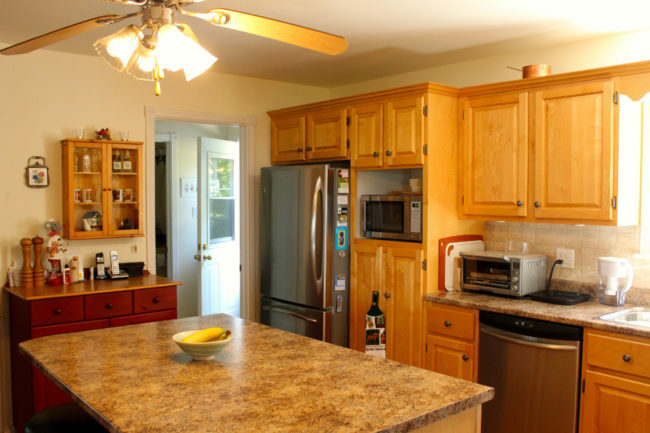 You can take a look at what’s available on TrustedHousesitters without registering. Hi, Marie…I just tried the link you gave in this post and in the comment area, but I get an error message at the top of the website that says the referral link is either expired or incorrect. Might you have a referral link that is working at this time? Thanks so much! Hi Deb. Try it now and let me know if it works for you. I’ve updated the link in the post. They keep changing it!